Elizabeth Neukirch believes in the power of an exceptionally told story. Her passion for communications and the arts brought her to The Silverman Group, where her clients range from world-renowned cultural organizations to educational and civic institutions making a positive impact in Chicago. She is also a guest lecturer in PR for graduate programs at the School of the Art Institute of Chicago and the University of Illinois at Chicago. Elizabeth received an honorable mention in PR Daily’s 2013 Nonprofit PR Awards for her national campaign in support of Chicago Loop Alliance’s Color Jam public art project, which included placements in The New York Times, Vogue and NBC’s Rock Center with Brian Williams. In recognition of her creative writing, Elizabeth received a 2014 Illinois Arts Council Agency Individual Artist Support Grant, and this year was awarded a Ragdale residency to work on her first novel. Prior to joining The Silverman Group, Elizabeth was the Public Relations Manager for Chicago Shakespeare Theater, where she publicized the theater’s diverse repertoire of classical and new works, family programming and international initiatives. She also has experience in arts education, having worked in Goodman Theatre’s Education and Community Engagement department and as an independent teaching artist for several years. 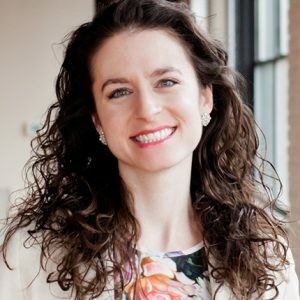 Originally from Chicago, Elizabeth began her professional communications career in 2003 as a contributing writer and advertising account manager for Northern Illinois Publishing (now Shaw Suburban Media). She studied at Shakespeare’s Globe in London and received her bachelor’s degree from Washington University in St. Louis, where she was a Howard Nemerov Writing Scholar and an editor of the University’s award-winning student newspaper for four years.